Sketch Floral Botany Collection. 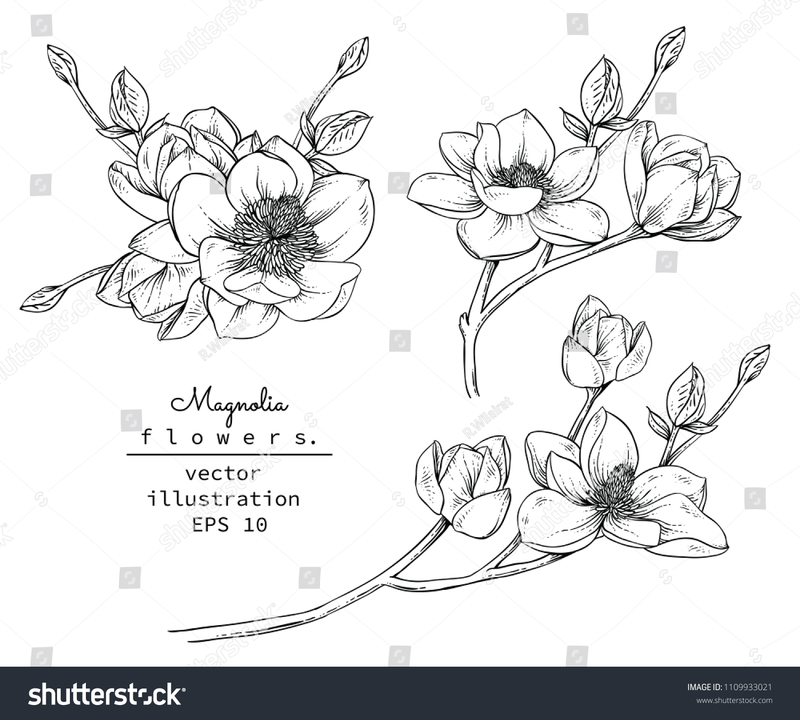 Magnolia flower drawings. Black and white with line art on white backgrounds. Hand Drawn Botanical Illustrations.Vector.